The Powador-piccoLOG is the compact and cost-effective monitoring and control unit for PV systems from 1 to 20 kWp and for a maximum of three inverters. The data logger is easy to configure and commission. While recording the inverter as well as the system data, the Powador-piccoLOG is able to detect faults and deviations from normal operation during run time. It provides operator information with the integrated status lights. Acoustic alarms can also be set. 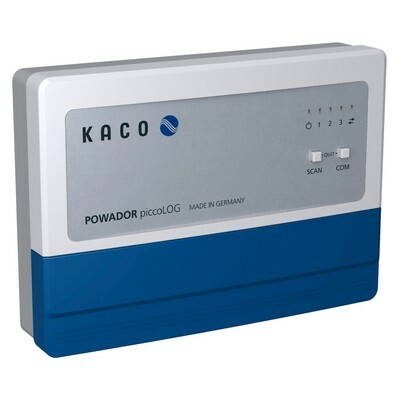 Its Ethernet interface allows the data logger to be connected to the Powador-web monitoring portal. The Powador-piccoLOG enables implementation of power control in accordance with the 2012 German Renewable Energy Sources Act. This reduces the possibility of yield losses resulting from inverter restriction to 70% of the installed DC power.